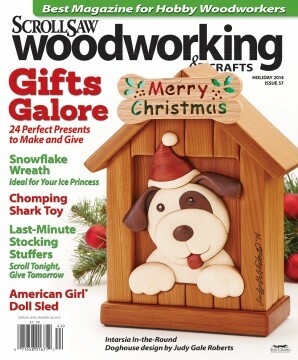 It’s never too early to start cutting Christmas gifts and decorations, and this issue is packed with good things for the holiday. We have more than 20 ornament patterns, a stocking hanger, and a candle tray. 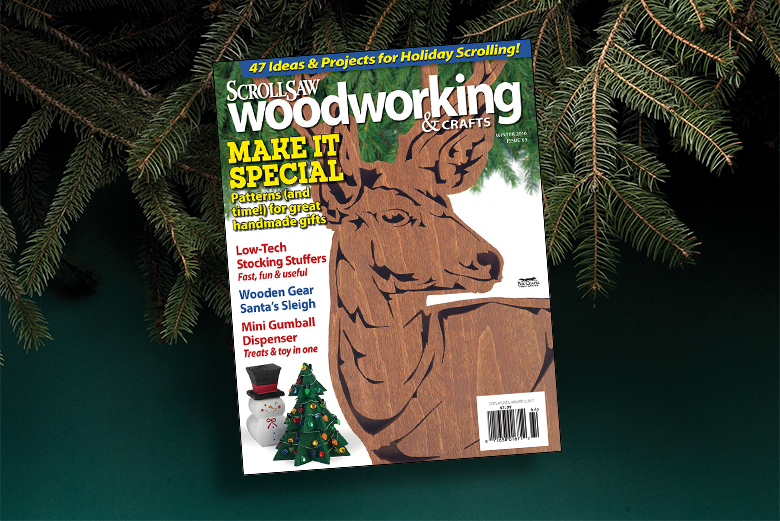 In answer to a reader request, we have two patterns for lighted wooden tree toppers. Not into Christmas? 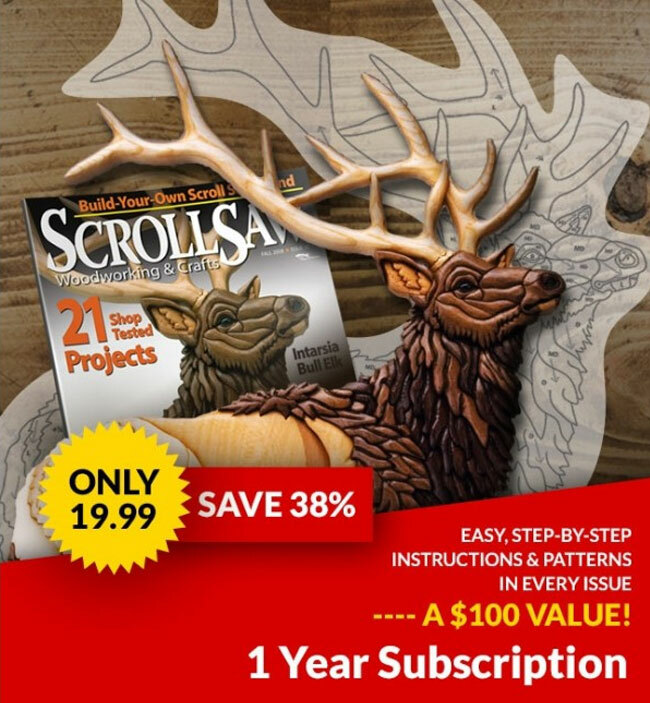 That’s OK—you’ll probably enjoy making our letter openers, Tolkien-inspired fantasy puzzles, and resin earrings. For a challenge, try the box shaped like a stack of books. 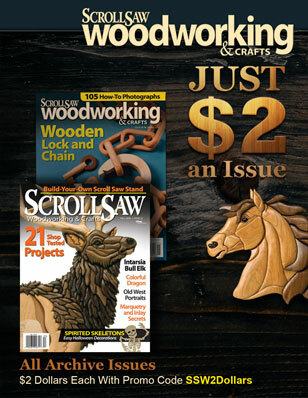 Plus, we included tips on choosing the right glue, understanding wood movement, and choosing the best respirator. Wishing you a very happy holiday season—see you next year! Make a Doll: Make a doll and quilt to tuck into the Baby Buggy Ornament by Rugh Chopp. Cut a Puzzle: The chunky pieces of our Super Simple Santa are easy to cut and assemble. Bonus Pattern: Download a free additional pattern for a fretwork cross.